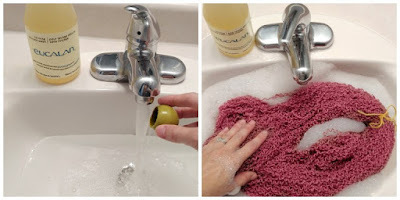 We’ve teamed up with Julie Crawford of the Knitted Bliss blog to bring you a handy tutorial on repurposing yarn from project that either didn’t turn out the way you planned, or for some reason have gone unused since finishing them. 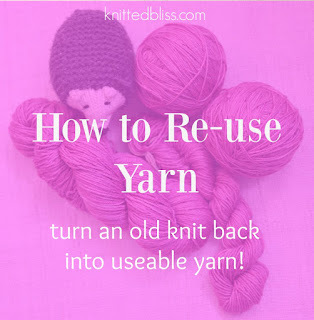 Julie’s original post appears appears here, along with our own recommendations for reclaiming yarn so you can use it for a new project you’ll love! 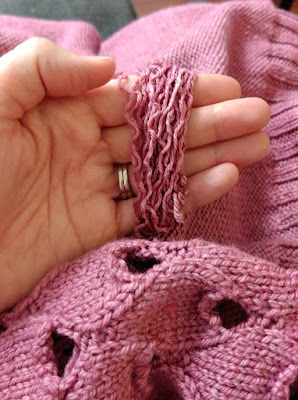 Note: The ‘stickier’ a yarn is, the harder it is to rip back. 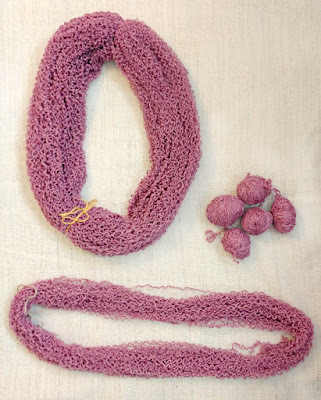 if there is any mohair or angora in it, it will be cling to the stitches, and not want to be easily undone. 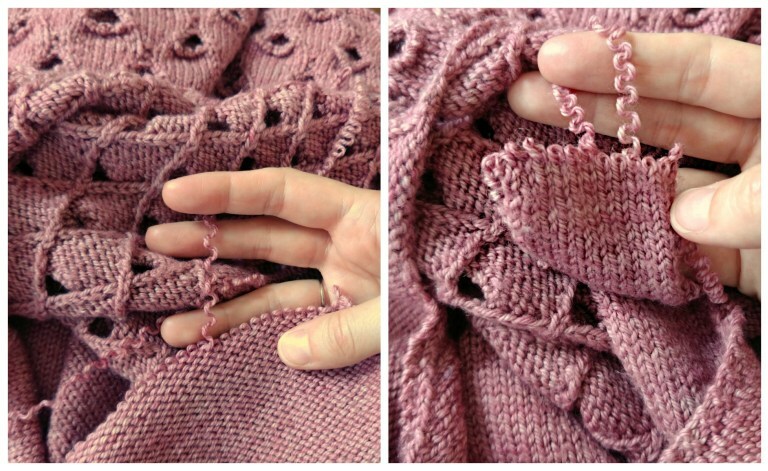 It can still be done, but you’ll need to go more slowly. 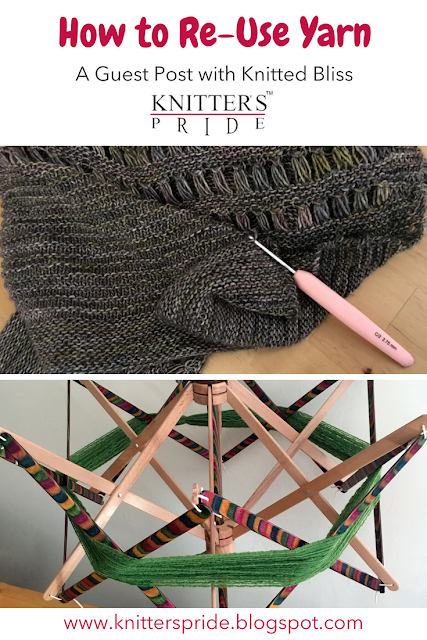 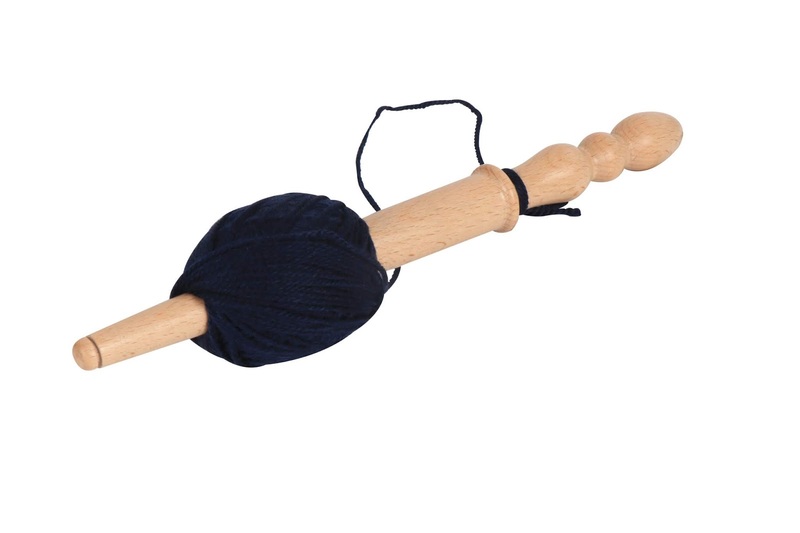 Knitter’s Pride Recommends: Our Wool Winder & Swift will make balling and reskeining yarn faster & easier! 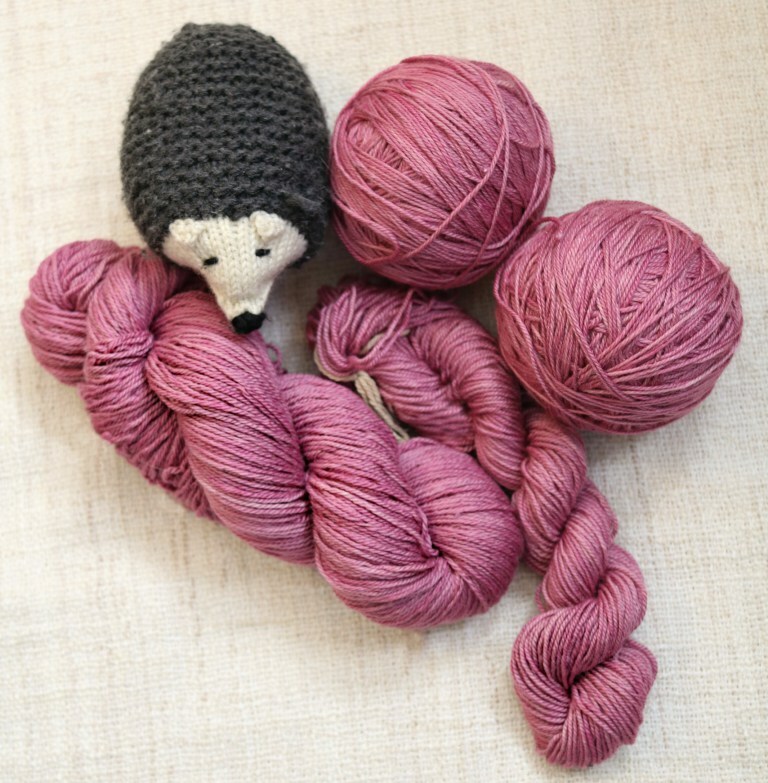 As the yarn comes away, you will need to wrap it into a ball. If you have a yarn winder you can attach the loose end and unwind the sweater that way. Or, try one of our new nostepinnes! 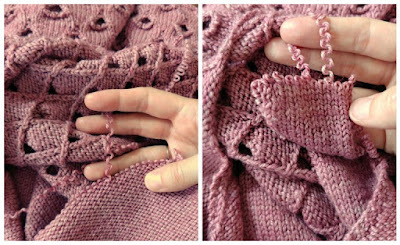 If you liked this tutorial and thought it was useful, Pin it!